Maybe those folks who called out a 'War on Christmas' were right? From society’s steady drift toward secularism, to schools banning Jesus from Christmas events, to Americans admitting they’d rather open presents than attend church – in seemingly every measurable way, Christmas is trending toward a Godless holiday. 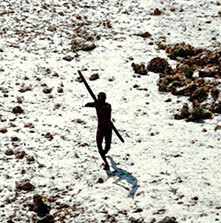 A Christian Missionary tried to bring the gospel to a remote indigenous tribe and paid the ultimate price for his efforts. See why many people are unsympathetic. 90 percent of Americans will celebrate Christmas this year, yet just 51 percent will attend a Christmas church service. 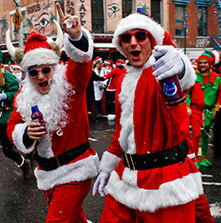 How did Santa overtake Jesus in popularity? A Virginia middle school has announced it will ban all songs mentioning Jesus from its annual Christmas concerts. As religious groups rush to their "War on Christmas" battlestations, supporters are standing by the decision, arguing that Christian references must be omitted to ensure all students are comfortable at school. Is It Still Christmas Without Christ? According to a new report, Catholic priests are fielding more requests for exorcisms than at any time in recent history. Could Wiccans be to blame? Some think so. 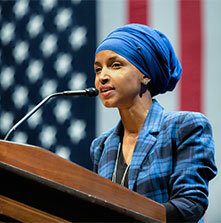 The historic election of the first Muslim women to Congress has sparked debate over an old rule against head coverings in congressional chambers. With the holiday season now underway, our official ULC stoles are flying off the shelves. 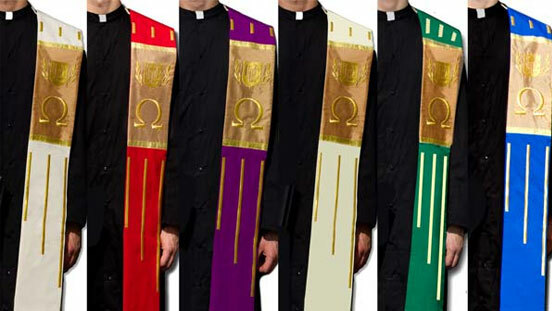 Have a fellow minister in your life who could use a colorful addition to their outfit? Or maybe you’d like to treat yourself to wardrobe upgrade this holiday season. No matter who you’re buying for, these stylish stoles will make a memorable gift. 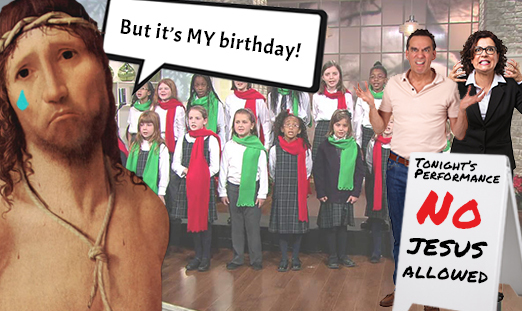 Our friends on Facebook were thrilled to meet the newest member of the ULC family: Steven Tyler. 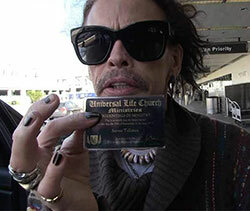 When reporters tracked down the Aerosmith frontman to ask about online ordination, Tyler flashed an official ULC wallet card and explained that he got ordained to be the officiant at his son's wedding.